For the millions of people who want or need to move, migration has become progressively more difficult, dangerous and expensive. Legal access to preferred destinations is now an option only for the privileged few. The rest are forced into the arms of those able to help them circumvent ever-increasing controls and deterrents. Migrant smuggling––the business of moving people across borders for profit––is reported to be one of the fastest growing and most lucrative forms of organised criminal activity. It is also very flexible, responding quickly to changes in demand and law enforcement pressures. For example, it was private entrepreneurs, not humanitarian agencies, who really made possible the exodus of millions of Syrians over the past several years. Recent studies indicate that most irregular migrants use the services of smugglers at some point during their journeys: the potential benefits clearly outweigh considerations of cost and risk. For asylum seekers in particular, smugglers are often vital. This is because the laws of asylum require those seeking protection to be outside their country of origin. Countries that are easy for asylum-seekers to reach are often unable or unwilling to provide them with the protection and support they need. Smugglers offer their clients the chance of recalibrating what are almost always very dismal odds. Refugee advocates understand this very well and have been reluctant to support a war on facilitated irregular migration. James C. Hathaway, a leading scholar of refugee and asylum law, has argued that “human smugglers play a critical role in assisting refugees to reach safety.” Similar views to Hathaway’s might be rarely expressed, but they are not uncommon. In the face of such obvious injustices it is tempting to lionise those who offer a way out. But such attitudes are naïvely sentimental. We know enough about how smuggling works to understand that this is no modern-day, Schindler-like humanitarian enterprise. It’s a bleak and sordid business driven purely by money, often placing lives and wellbeing at serious risk. As the stakes have risen, accounts of violence, abuse and ill treatment have become more frequent. Each year thousands of smuggled migrants drown trying to get into Europe across the Mediterranean: cast adrift on unseaworthy, sometimes crewless vessels once they have paid dearly for their passage. Similar stories are told of those trying to get into Australia from transit points in Indonesia, and into the United States across its vast and inhospitable Southern border. Facilitated migration too often morphs into egregious abuse and exploitation. Many Somali and Ethiopian asylum seekers smuggled through the Horn of Africa experience physical violence, sexual assault, extortion, trafficking and detention by national authorities. In a disgracefully under-reported tragedy, thousands of female migrants have simply disappeared from the same region, presumably abducted for purposes of exploitation. The Mexican Human Rights Commission has alleged, incredibly, that around 20,000 migrants seeking to make their way to the U.S. are kidnapped for ransom each year. Wealthy destination countries of Western Europe and North America, as well as Australia, have led the charge for greater international action on migrant smuggling. Their worries are understandable. Irregular migration is already hard enough: the involvement of facilitators, with the implication of increased efficiency in approaching and evading fortified borders, has caused something near a panic. The options facing these States are few. Of course they can—and do—criminalise irregular migrants. But this carries some risk, particularly when the persons involved are asylum seekers with a legal right to seek protection. In contrast, acting against migrant smugglers can be more palatably presented to a public already uneasy about irregular migration: less an attack on individual migrants than on those who are profiting from their vulnerability and desperation. By emphasising the connection with transnational organised crime, states are more easily able to characterise migrant smuggling as a threat to public order and national security. This in turn helps to justify the creeping externalisation of border controls and the increased militarisation of all aspects of border control. Despite a growing awareness of the scale and seriousness of exploitation in migration, the international response to migrant smuggling has been desultory and inconsistent. Protections available to those who suffer severe exploitation (e.g. 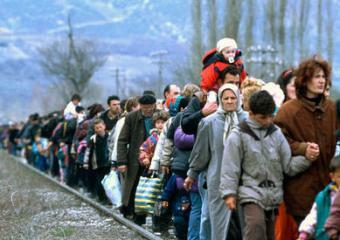 under trafficking laws) are rarely applied to smuggled migrants who come to serious harm. 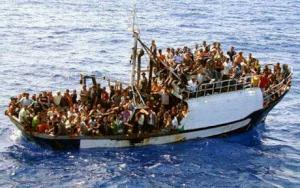 The 2000 United Nations Migrant Smuggling Protocol obliges states to criminalise migrant smuggling. But this instrument does little to dispel the widespread perception that smuggling is a crime against the State, and that smuggled migrants are complicit in their own misfortune and thereby not ‘victims’ deserving of protection and support. Many states have anyway rejected the relatively moderate approach advocated by the UN Protocol. They have ignored the letter and spirit of their international commitments, engaging in secretive deals and legally questionable operations aimed at intercepting smugglers and deterring migrants from using their services. So what can be done? Unfortunately, not very much. The number of people who want—or are forced—to move shows no sign of slowing and will likely increase. Even the best-intentioned states will be unable to absorb these flows without massive costs and significant social and political dislocation. In the absence of genuine cooperation built on trust and a sense of shared responsibility there is little incentive for change: a state that is willing to do a bit better than others, for example by rescuing migrants in distress at sea, will inevitably incur a disproportionate burden. Irregular, facilitated migration is, in fact, an example of what is termed a ‘wicked problem’: one that is highly resistant to resolution, typically because it is shifting and unclear, and because it is a symptom of other factors that are themselves resistant to change. In the present case those factors include the very existence of states; gross inequalities among them; market distortions caused by a freeing up of goods and capital but not labour; and a dysfunctional and widely abused refugee regime that only rewards those who move. The resulting momentum is essentially impervious to anything but the most draconian of responses; irregular migration can only possibly be halted through the unrelenting deployment of massive force and violation of individual rights at a level that is unusual and uncomfortable for modern liberal democracies. It is difficult to predict who will fold first in the bitter war between migrants and their smugglers on the one hand, and countries of preferred destination on the other. Likely the war will continue without clear success and failure, but with migrants and our commitment to human dignity and rights suffering the greatest hits. While accepting the inevitability of irregular migration, and the corresponding intractability of migrant smuggling, it is essential to try and find ways out of the current impasse—or at least locate small openings that might provide a starting point for real change. For example, greater transparency should be demanded of governments engaged in action against migrant smuggling. The current atmosphere of secrecy (typically justified in terms that would be more appropriate to anti-terrorism operations) is dangerous, unwarranted and illiberal. And much more could and should be done on the broader issue of migrants’ rights. States that reap the incalculable benefits of low cost migrant labour, that generate the demand being met by migrants, should not be able to get away so easily with defending and maintaining a system that deprives them of even the most basic legal and social protections. But advocates for the rights of migrants and refugees who wish to maintain their relevance and credibility cannot stand piously above the fray. They need to be honest enough to condemn profit-driven migrant smuggling as criminal and exploitative. While holding law-breakers to account—and while shedding light on the dark corners of State hypocrisy around this issue—they must also be brave enough to support governments that are acting lawfully against the genuinely ‘bad actors’ in international migration. And while continuing to push states to uphold their legal obligations to asylum seekers, at some point, we must all confront the inescapable truth that our current system of refugee protection is part of the problem. It has become a tool in the hands of smugglers and their accomplices. It is failing miserably to meet the needs of states and many of the world’s most vulnerable and persecuted individuals. We need to re-think some of the cherished tenets of refugee law: for example, that only persons who have been able to move out of their country can be protected, or that refugees cannot be returned home once it is safe; or that those who are persecuted by the State are more deserving of protection than those who suffer in other equally terrible ways. There is a real risk that meddling with the current system will produce an even worse one. But pretending that it is possible to continue along the current path is no solution at all.